Why should this matter? Many businesses have come and gone without any kind of succession plan in place - and it’s not just about electing a new CEO or managerial staff. Succession planning is simply making sure that when the time comes, the right people are in the right place. And if they aren’t, someone else is waiting in the wings. Succession planning is also a vital part of business development, due to its focus on manpower, management and operations. Grooming your successors is a vital part of making sure that your company continues to operate smoothly, as well as giving your investors peace of mind and your employees a sense of promise that there is something to look forward to in their careers. The first thing that should be of concern when it comes to succession planning is the working relationship that your employees have with each other. Obviously, if colleagues don’t get along or the office environment is strained, it would be nigh-impossible to breed and train competent successors to important job posts. This is where your human resources department can serve you best: as their job is to identify the best-working employees, it would be wise to ask them for their recommendation when looking for potential successors. There are many benefits that a proper succession plan can provide to employers: the most important being that your business will continue to have a strong foundation in order to grow. Even looking past the immediate benefit that grooming worthy successors makes, a company that has made sure they are always staffed by top talent has more value. 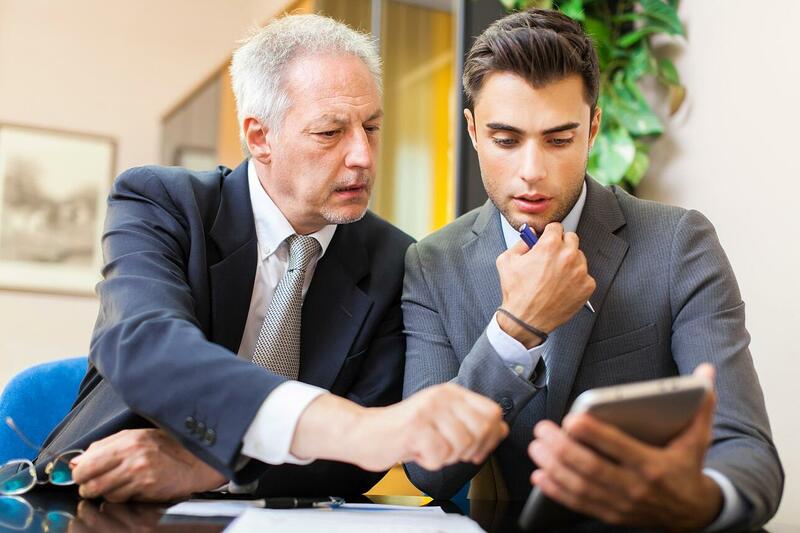 Financially, succession planning also makes sense: you are able to train your own talent using standards set within your environment, which makes it a much better investment than hiring someone new that may still need adjustment and training. It’s far better to promote experienced workers to higher positions rather than bringing in new faces - they have more familiarity with your systems and workflow at a fraction of the cost you need to train new staff. Being groomed as a successor is heady, but the obvious perks such as increased responsibility, power and salary are very good incentives for any employee. Aside from assuring them that their own personal and business growth is important to your company, employees are more likely to have increased confidence, self-esteem and experience when picked as the cream of the crop - all factors that improve productivity. It also makes sense to them financially: climbing up the job ladder is definitely a goal for most employees, and it definitely makes it better if they can progress while maintaining a steady wage. At the end of the day, succession planning is crucial to the development of staff within your ranks, which in turn affects how your company grows. Sometimes the only shade that we can get is from the seed we planted years ago - and making sure that we have laid the foundation for the survival and prosperity of our business is the best legacy we can leave behind. Thinking of an organisational overhaul? Contact myCEO’s team of business experts here. Or if you would like to learn how factors like succession planning (among other things) can help your business grow, download our free Financial Pillar eBook today.